I’ve spun up most of the sad rovings at this point. The only ones I made into batts were the red, orange, and yellow ones. The rest I just infinitely pre-drafted. Here are some pictures. I have one more bag of pre-drafted sad roving to get through, and then I’m done. 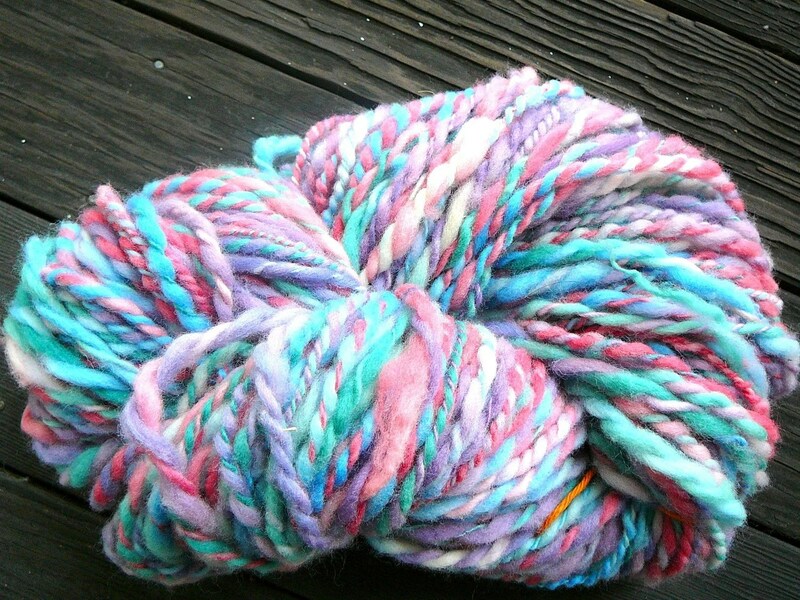 Though right now I’m taking a break to spin alpaca. Overall, it wasn’t as bad an experience as I thought it would be. The pre-drafting was annoying, but it spun up just fine. But I’m happy to be moving back to nice fiber. 1. The felting wasn’t really my fault. Our house has 2 washing machines, and apparently they leak heat from one to the other. Someone was washing a load of laundry while I was spin-cycling my roving. The heat is what did it, and not my stupidity. 2. There’s a better solution for dealing with the wool. At least for me. I have a drum carder! It can deal with stuff like this. So last night I tried feeding the wool to the drum carder. 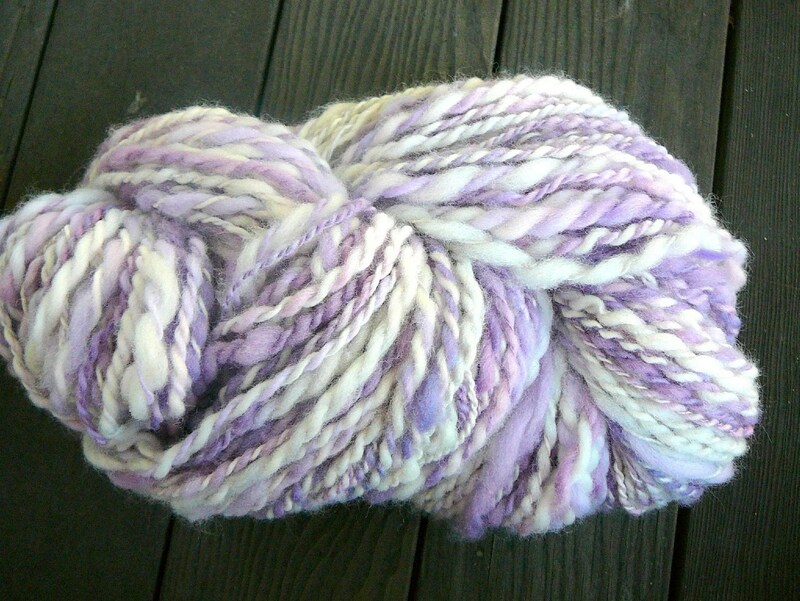 I learned the hard way that you still need to pre-draft it a bit before the carder will accept the wool. However, once you do, it works really well. 1. Do some predrafting. Yeah, it still has to happen. 2. Feed the stuff into the carder. Be sure to adhere to the safety warnings it comes with. Like keeping your hands clear. Look at me, choosing wisely! 3. Once you feed it in, start cranking. The small drum will take up the stuff and put it onto the big drum. Whee, your carder is starting to fill up. Yay! So the reason why this is so exciting is that now I can sell them as batts instead of having to spin them all. They probably won’t all be done in time for the show (where I should focus on getting as much yarn spun as I can) but could later go on Etsy. And if I do spin them, they’ll be much easier to deal with than just a big bag of pre-drafted roving. Plus, I can draft from the fold, which I like a lot better. For once, I’m posting about something I made that is less than awesome. 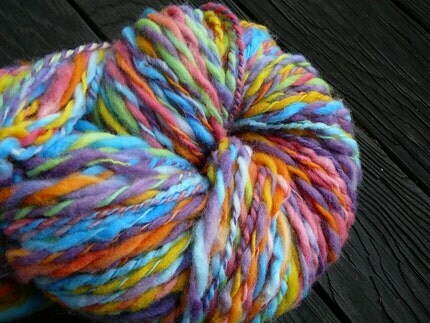 As you may or may not know, I’m selling my wool and yarn at a craft fair on June 27. (If you’re in the Boston area, you should totally come!) 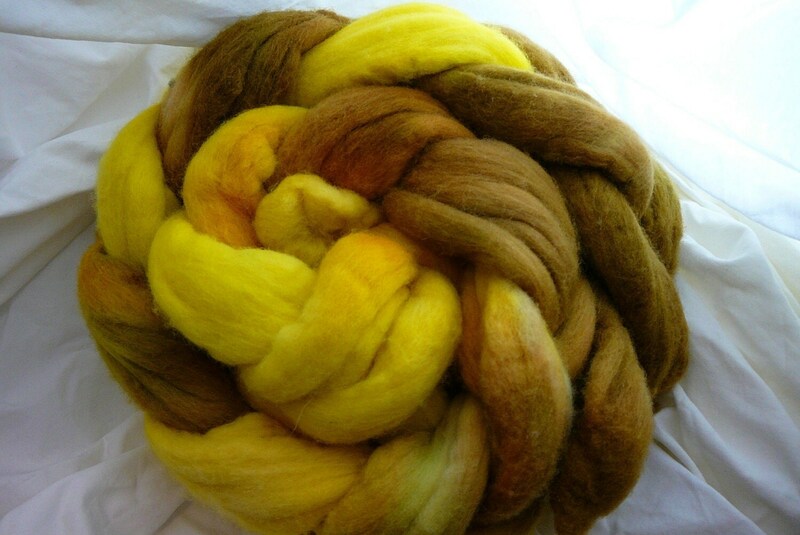 As such, I’ve been spinning up a storm. My 3 boxes of alpaca fleece finally arrived mid-May, and since I returned from Europe, I’ve been doing a bunch of carding. 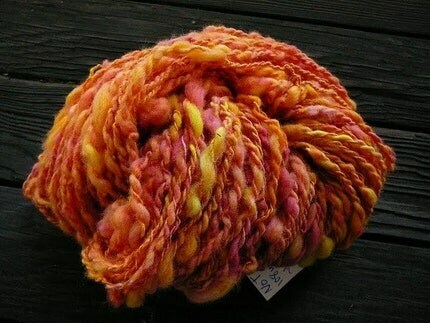 I also have been dyeing a bunch of merino rovings, most of which are up on my Etsy store. There were 8 total that suffered this fate. I was pretty upset. They’re salvageable as yarn, but I can’t sell them as roving, unless it was to someone who knew what they were getting into and at a heavily discounted price; just enough to recoup my losses. Better to have it be yarn, where no one will know I messed up. How does one salvage sad, sad wool? Drafting is the process of drawing out fibers in order to spin them. Usually I’ll do this as I’m spinning. But when wool is felted or otherwise uncooperative, I’ll pre-draft. It’s also useful if you want to keep the repeats of colors. And it helps to have housemates who like pulling things apart. This way I don’t need to do all the pre-drafting myself. There’s this shawl that I was working on since November. I finished it last weekend. And then I blocked it. Though the yarn desk is sad in its emptiness. Also, I finally ran out of undyed wool, so I went ahead and ordered the 27 lbs of wool on the internets, and it came on Thursday (while I was out doing stuff for aforementioned Vericon). 27lbs! This is a LOT of wool. I had to unwind some of it and wind it into smaller balls in order to be able to fit the darn thing in the craft cabinet, but it’s there now. I’ll post a picture of that after I take it. And I’m also getting a bunch of alpaca fleece next weekend when I go and visit my friend’s alpaca farm. It started out innocently enough. I have a very small bedroom with no space for a desk. The people who lived in this unit before me had a big desk that they left. It was intended to be my workspace for desk-y things. Now that I’ve started school again, I have less time for dyeing. 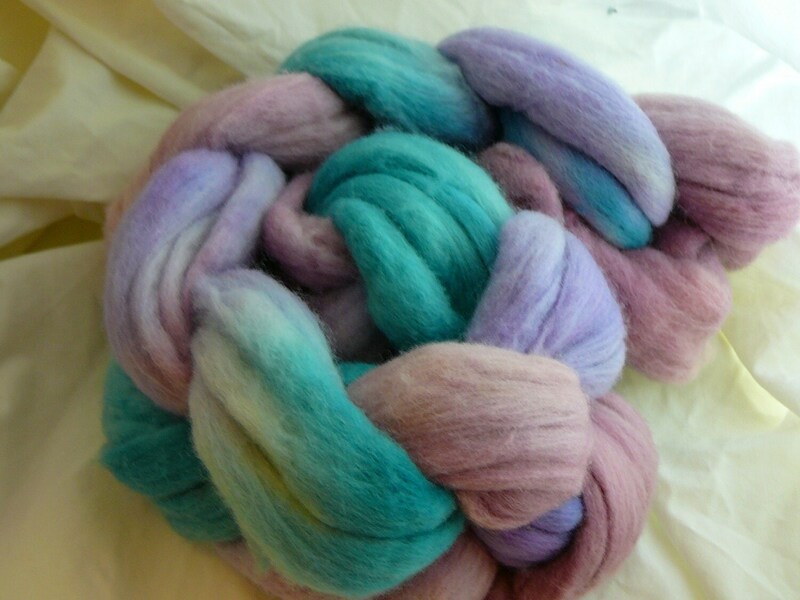 But even if I did have time, I’d probably hold off on another dyeing spree until I sold/used some of the roving I currently have. And I’m almost out of wool to dye! I’ve used up more than 6 of the 7lbs I had ordered in August/September/a long time ago and I forget exactly when. 7lbs of wool is a lot of wool. Though it’s not as much as 27lbs (which is the amount I’d need to order if I wanted free shipping). My mother gave me a book called “Making Mathematics with Needlework” last Christmas, and I fell in love with the idea of making a Sierpinski fractal shawl. Here’s a nice picture and explanation of the Sierpinski triangle”. Basically you take a triangle, bisect the sides to cut out a smaller triangle, and then you have three triangles; keep doing it. 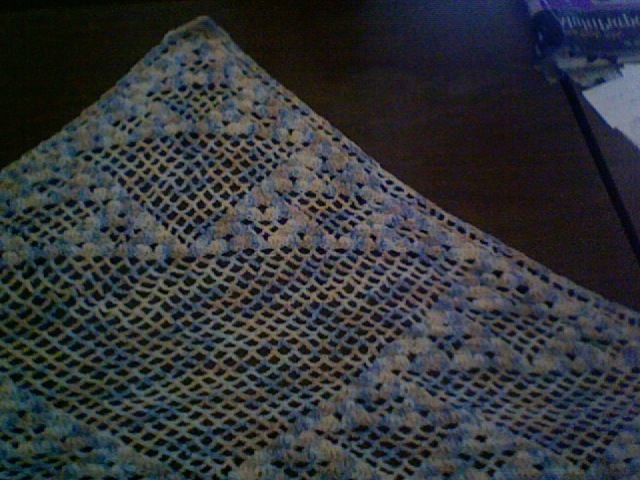 My shawl has 5 iterations, and I crocheted it from the bottom tip up. It’s not equilateral! But it still works. The basic pattern is this: each row increases by 1 arch. The row starts and finishes with 2 arches, which are made by chaining 5 stitches and then attaching it to the arch (or filled fan) below it by a single-crochet. 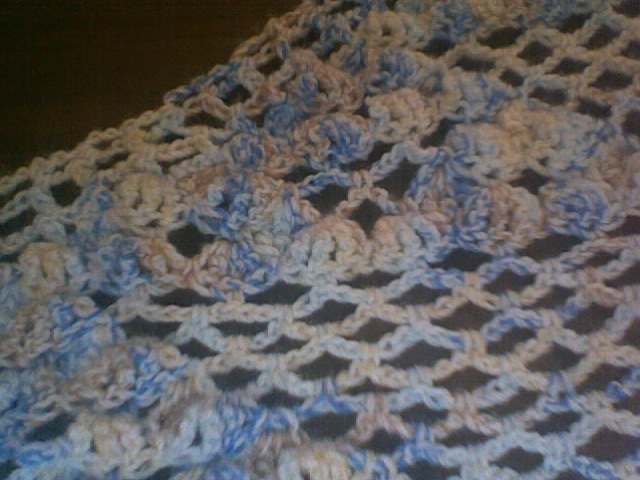 The filled pieces (fans) are made by triple-crocheting thrice into the same stitch and then attaching in a similar way. I don’t like this pattern all that much because it ultimately doesn’t make triangles so much as curvy diamonds, but it worked well overall. It took me forever, though, because each row just kept getting longer! I used a variegated baby yarn of sport weight and a size G hook. An overall view. It's about 3 feet from base to tip, but the base stretches to about 5 feet. A closer up view. It's upside-down from the way I actually crocheted it, though. and so on. So you can build it from the ground up instead of cutting pieces out. Whee, math geekiness!